I spent a week in Munich. I went there for two reasons: to attend the Web & TV workshop organized by the W3C and to hack along with the gst-gang in the GStreamer Hackfest 2014. All these sponsored by Igalia, my company. I arrived to Munich on Tuesday evening, and when I reached the Marienplatz metro station, I ran across with a crowd of Bayern Munich fans, chanting songs about the glory of their team, huddling and dancing. And a lot of police officers surrounding the tracks. The workshop was organized by the W3C Web and TV Interest Group, and intended to spark discussions around how to integrate and standardize TV technologies and the Web. On Wednesday morning, the workshop began. 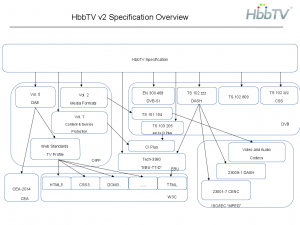 People from Espial and Samsung talked about HbbTV, and japanese broadcasters talked about their Hybridcast. Both technologies seek to enhance the television experience, using the Internet Protocols, the first for Europe, and the former for Japan. Also, broadcasters from Chine showed their approach using ad-hoc technologies. I have to say that Hybricast awed me. Afterwards, most of the workshop was around the problem of the companion device. People showed their solutions and proposals, in particular about device discovering, and data sharing and control. All the solutions relied on WebSockets and WebRTC for the data sharing between devices. 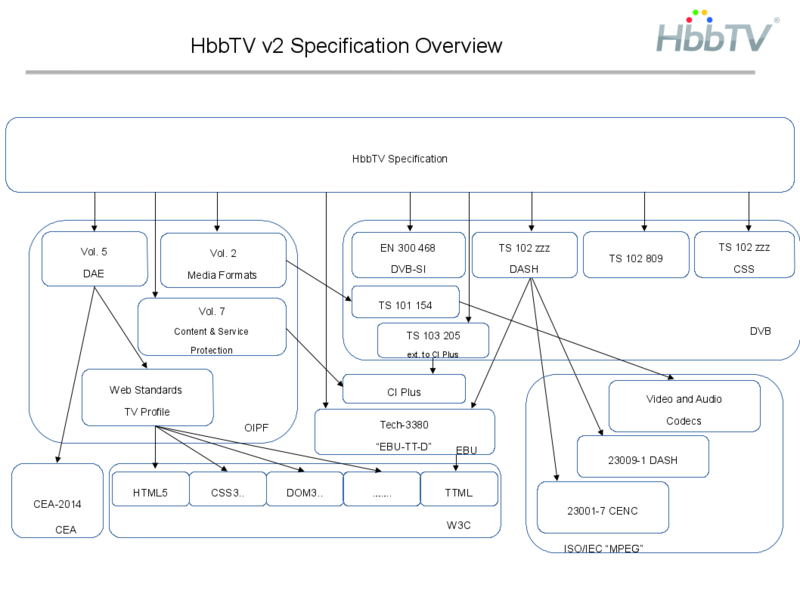 During the panels, I enjoyed a lot the participation of Jon Piesing, in particular his slide summarizing the specifications used by the HbbTV V2. It’s like juggling specs! Broadcaster are very interested in Encrypted Media Extension and Media APIs, for example the specification for a Tuner API. Also there’s a lot of expectation about meta-data handling and defining common TV ontologies. 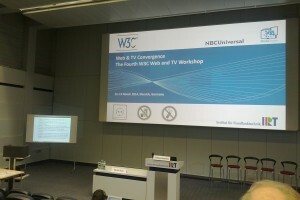 Finally, there were a couple talks about miscellaneous technologies surrounding the IPTV broadcasting. The second stage of my visit to Bavaria’s Capital, was the GStreamer Hackfest. It was in the Google Offices, near to the Marienplatz. Christan Schaller has made a very good summary of what appened along the hackfest. From my side, I worked with Nicolas Dufresne with the v4l2 video converter for the Exynos4, which is a piece required for the hardware acceleration decoding for that platform using v4l2 video decoder.